Lock Fitting in your home or business is not as simple as buying locks and installing them. Though this is a practice for some individuals, it does not offer the level of security that you may require in your premises. Lock installations should be done by a qualified locksmith because the professionals understand the various security aspects involved with locks and how best to install them in various parts of a property. Our lock fitting service features a free inspection of the premises where locks are to be fitted. We will then provide recommendations on which locks can be fitted and where within a property. 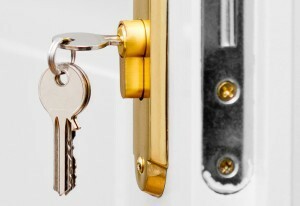 SR Key Solutions are well trained and experienced in the installation of different lock types, we know the advantages and disadvantages of a wide range of locks that can be found in the market and can advise on the most suitable to meet your requirements. We have a range of lock varieties that can be installed in various places, which can accommodate domestic, commercial and industrial properties. Our lock fitting service ensures that the best locking features are chosen for your property and security is maximised. SR Key Solutions offer child locks for windows as a means to protect children from being able to open windows, which is an ideal solution for multi level properties as a simple security measure.